LCH.Clearnet were looking for a very distinctive type of entertainment to engage with their key clients. Logan Sports Marketing created a truly unforgettable experience at the JP Morgan Round the Island Race for LCH.Clearnet’s Senior Executives and their top eight clients. 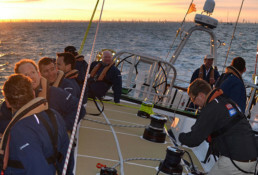 Chartering one of the brand new Clipper 70, Round the World yachts, LCH.Clearnet’s crew of 12 lived, trained and raced together over three days. Few experiences in the world would allow such intimate and invaluable relationship building time between business and clients.